Here’s a little EzineArticles feature that’s rarely even noticed… until something goes wrong! Have you ever paid attention to this little button at the bottom right corner of the article body field on the submit page? This button is the toggle switch for the Auto Save function and it turns Auto Save on and off. Auto Save ON – The article you’re currently submitting is saved as a draft every two minutes. Auto Save OFF – The article you’re currently submitting will not be saved until you click on at the bottom of the page. Be sure the Auto Save function is not creating drafts unknowingly. Always review the articles in your account on a regular basis. Select NO for Auto Save. With the Auto Save function turned OFF, you may be vulnerable to losing article content. We encourage the use of Auto Save at all times. That’s it. A little advice that might just save one of your articles someday. 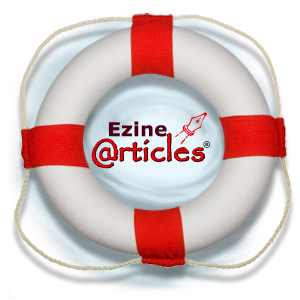 Are there other tools on the EzineArticles website that you’re unfamiliar with? Just leave a comment to tell us about it and we’ll do our best to demystify it for you. You have a Great Day ! Thank you for the great “Tip” regarding the Autosave feature…It can be a little distracting when your editing if you choose to leave it on. But it’ll save your “bacon” if you ever need it! Love the feature…thank you! Yet another tool I`ve never come to use. Thanks for the tip. The auto save is a great feature. Many times I have closed my window without saving the content that I had already prepared. Thanks to the auto save feature..I have never lost my work.